My name is Valerie, and I'm so excited to be visiting today from Occasionally Crafty! I'm a stay-at-home, piano-teaching, book-reading, RA-enduring, craft-loving mom of 3 sweet kids. 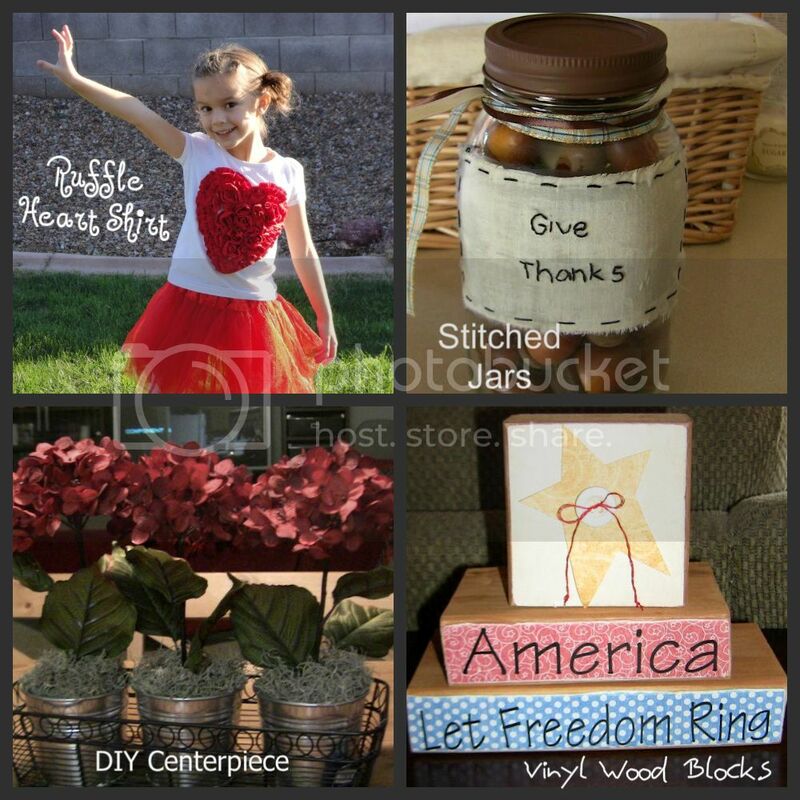 On my blog, you'll find cute, fun projects for home decor, clothing, accessories, and more. 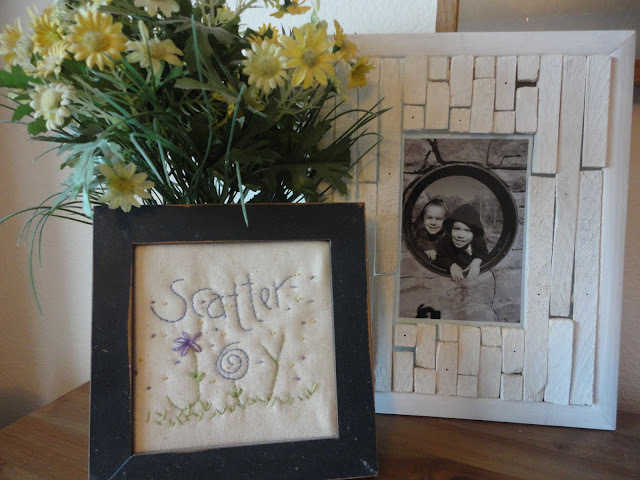 I never thought I was "crafty" growing up, but I've recently realized that with a little time and patience, plus some inspiration from the magical world I call BlogLand, I can make some beautiful, fun things! Speaking of inspiration, I was browsing the Pottery Barn online catalog for some ideas. I love their stuff, but I am way too cheap frugal to pay for it. When I saw the "Cottage Frames", I figured I could make a version of my own. I made mine a little more 3-D, and I have more little pieces in mine than in the original. That's just personal preference. I like how it has kind of a driftwood, beach-y feel. It would look great in a room with that kind of theme. 1. Gather your supplies. I used a document frame from the dollar store. You need something fairly narrow, and if you want to match the original, it needs to be flat and square. I'm not patient enough to scour the racks of thrift stores and yard sales, so I just went with this one. For the wood pieces, I used wooden shims we had from constructing a doorway. 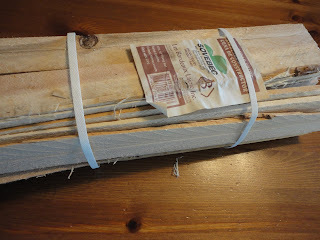 These come in a bundle at the hardware store and are very rough. I only used six or seven pieces from a bundle. You could use all sorts of scrap wood to create this. You're just going to have to cut it, so make sure the wood you choose won't splinter and break when cut. 2. Take the back off the frame and take out any thing inside, leaving only the glass and the frame. Secure your glass (temporarily- you need to remove it later) to the frame so it won't move around. Mine was already pretty still, but some cheap frames move around a lot when taken apart. 3. Measure your opening. I used the fake "document" in the frame to mark where I wanted my photo opening to be. I made mine to fit a 4x6, down from the 8x10 frame. That means I had to measure 2 inches from the top and bottom, and 2 inches in from each side. I taped my 4x6 paper to the backside of the glass so I could build around it on the front. 4. 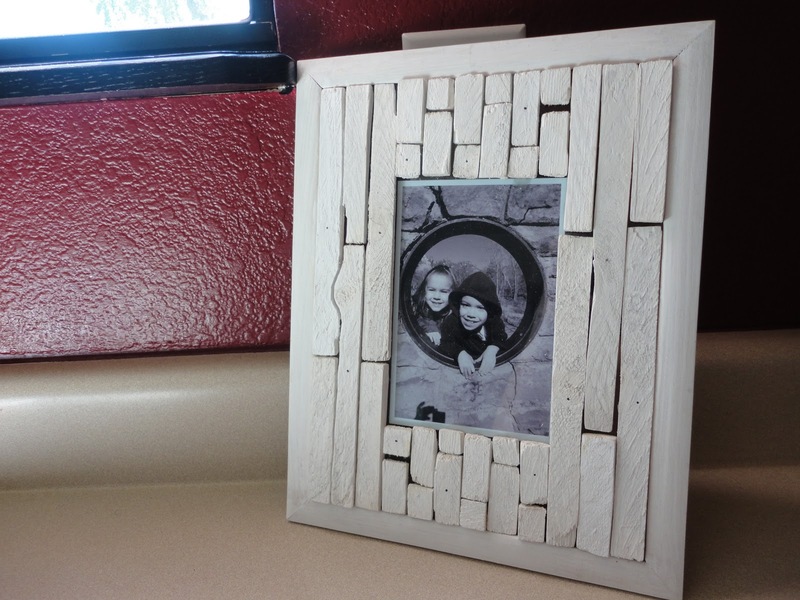 Lay out your wood pieces to fit around your photo opening, cutting as necessary. I found that with standard wooden shims, if I cut them in half lengthwise, I needed three pieces on each long side of the frame. I then measured the length I would need on the short sides, and just cut a bunch of pieces to fit. 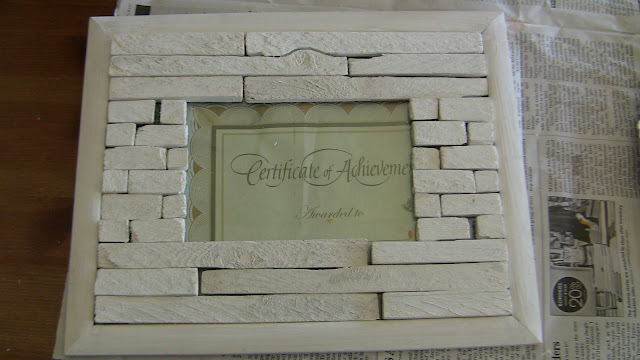 Then I cut THOSE smaller pieces into the acutal assorted pieces I wanted on the frame. Use the picture as your guide, and adjust as desired. 5. 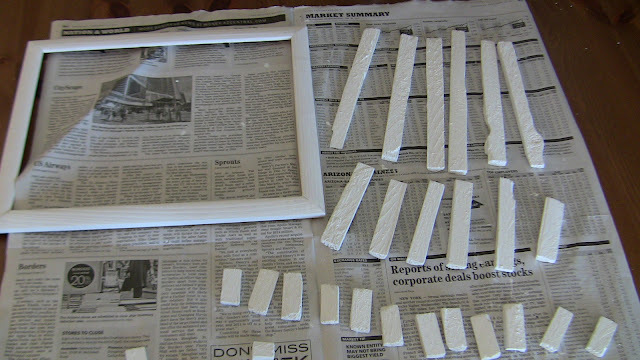 Sand and paint your wooden pieces. 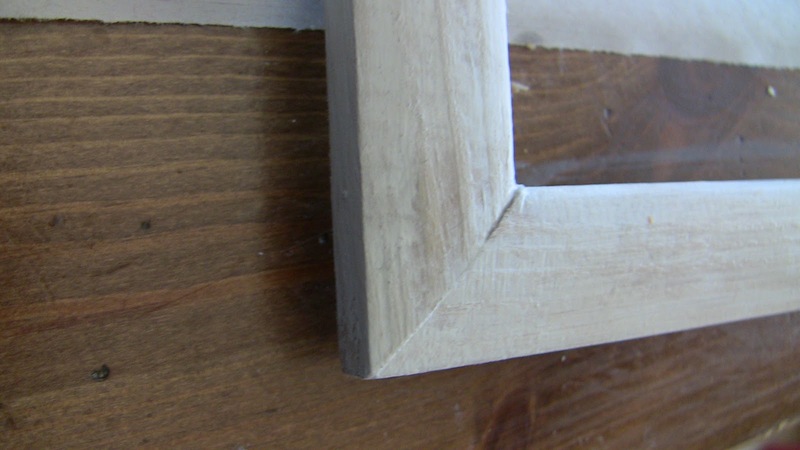 If you want them to lie flush with the frame, you'll have to sand them quite a bit. This is another reason mine are more 3-D- I do tend towards the "lazy" crafting. 6. Remove the glass from your frame and paint the frame. 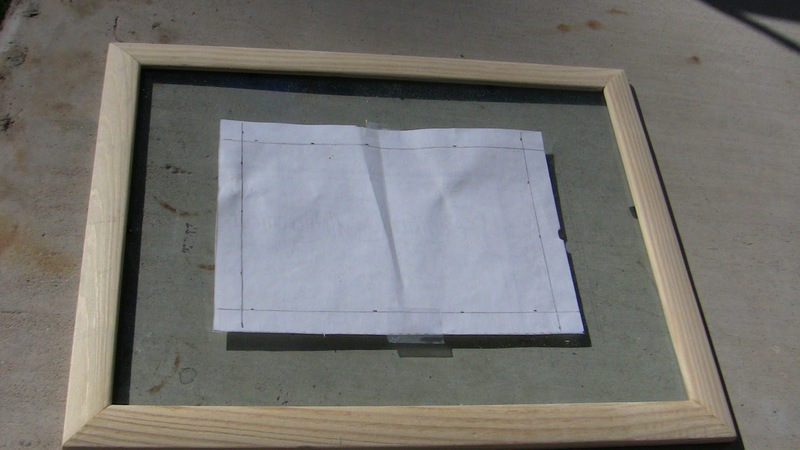 Allow frame and wood to dry. 7. Distress frame and wood pieces as desired. I used a squirt each of black and brown paint in a cup of water to form sort of a wash. I then used a sponge brush to wash all my pieces and frame, then used a paper towel to blot most of it off. Allow to dry again. 8. Put the glass back into your frame and secure it again. 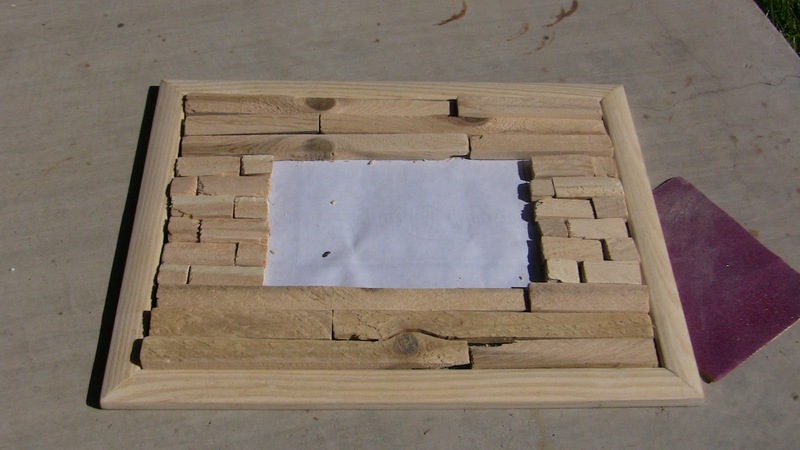 Using wood glue, adhere your wooden pieces directly to the glass and let set a few hours or overnight. 9. Remove your "photo opening guide", print out your favorite photo, attach it to the back side of the glass, and replace the frame back. Congratulations-- you have a striking new frame! Oh- I almost forgot! The original has "real nails" in the small pieces of wood. I could not manage this without splitting the wood, so I simply put small black dots in random pieces of wood with a marker. If you try this and have success with the nails, let me know how you did it! Cost of original: $29 for this version. Cost of mine: $1 !!!! Thanks so much for letting me hang out here today-- I hope to see you around my blog soon! Have a great weekend, all! So coool...adding it to my to do list! What a cool project! This is the first time I'm stopping by, and I just have to say that I love the name of your blog! So cute!